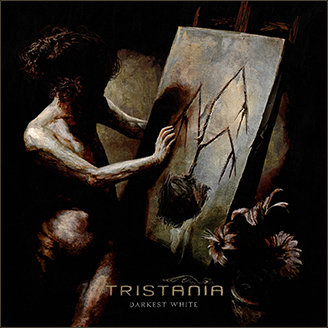 We are happy to finally be online with the new tristania.com! As some of you might have discovered there is a chat area included in the web page. Pretty soon we will schedule a net meeting where the fans will be able to speak directly with the band members. You will also get to know things you didn’t know about the band members in the personal member bios, both the old farts and the fresh additions to the band. We will upload our own photos from studio and tours, and we will post our own video clips here in the future. To sum it up; the band itself will be active here, and we will include you in the process of the 6th Tristania album. Tristania would like to thank our web team, consisting of Tinko Georgiev, Bee K. Greene and Tjeerd van Sas. Tinko is the new webmaster of tristania.com, Bee is running the official Tristania MySpace page, and Tjeerd is in charge of the official forum. These three talented people are all fans of the band who have contacted us in order to help promoting Tristania on the web. Each of them is putting down hundreds of hours of work for the band – without payment. We would like to express how thankful we are to Tinko, Bee and Tjeerd; we owe you big time! Very special thanks to Konstantin Atanasov for coding the tricky parts of the website and Georg Binder (aka Deadlocked) who is the official forum global moderator. We hope you all will like the new website as much as we do, and that you will drop in often. A lot of news will be posted here in the near future, and the page will be updated at least two times each month. There will be several surprises, and we look forward to share our little jewels with you in the future. This entry was posted in News and tagged bee, tinko, tjeerd, tristania, website. Bookmark the permalink.